Has this ever happened to you? 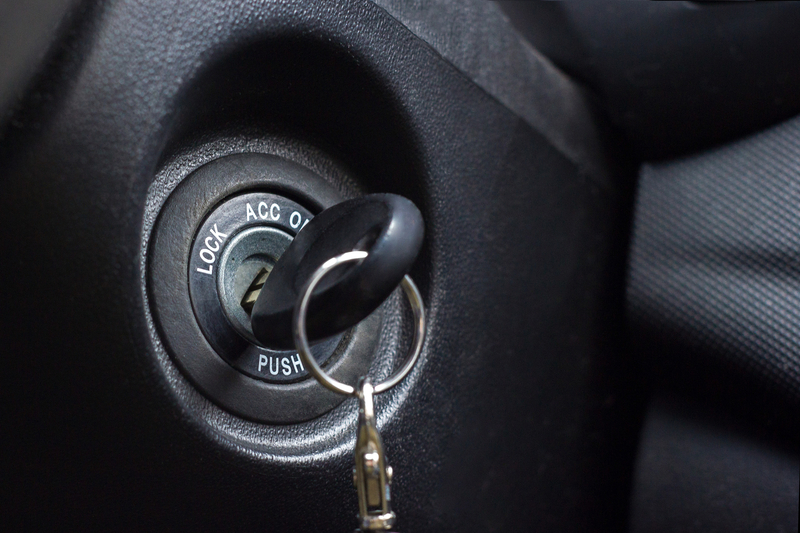 We put the key/fob in the ignition switch to start the car and hear that awful sound…..sounds like something is sick under the hood. The engine is barely turning over and then at the last moment….it roars to life! Whew! That was close! Your car is really trying to tell you something before you get stranded somewhere. It’s time for a Starting System Checkup. Your starting system is composed of three very important parts that have to work together in harmony to keep your vehicle safe, dependable and fun to drive. That’s a good thing, right? The first part in this Starter System Checkup is the battery. Without a fully charged battery to start the engine, not much else will work in your car. Maybe you have noticed a low battery indicator light on the dashboard display. The battery is the important component that provides electricity to the starter that turns the engine over when the key is turned to start the engine. It is also usually the first component to fail in the Starting System. We have the diagnostic tools to determine if the battery needs to be replaced. By the way, the battery is always being recharged every time you drive the car. That’s one of the many jobs of the alternator. Oh wait, let’s look at that part. The alternator is the second part of the Starter System. If the alternator is not functioning correctly, you may get a warning signal on the dash, just like a low battery display. It may be telling you it’s not able to do one of its primary jobs, which is keeping the battery charged while the engine is running. The alternator also provides a steady supply of electricity while the engine is running to the other important parts of your vehicle without draining the battery. Minor things like headlights, fog lights, brake lights, emergency flashers, turn signals, air conditioner/heater fan controls, radio/iPod system, cell phone chargers, GPS navigation, etc. (Wow, if you have all those features on your vehicle, nice!) OK, really, we know those are quite necessary functions. That is why a correctly working alternator is very important. The third part of the Starter System is the starter itself, it kind of hides under the engine close to the transmission. It’s not as visible as the battery or the alternator are when you are open the hood. But its job is crucial. It takes a lot of electrical energy from the battery to start that engine, especially when it is cold outside. And like all those other Starting System parts, battery’s, alternators, starters can wear out over time. They all do a lot of very hard work every day to get you and your family where you need to go. At Newman’s Automotive your complete automotive care center in Austin, TX we have all the testing equipment and diagnostic tools to help determine which part of your starting system is in need of repair. Give us a call at (512) 447-7801 and let us help keep your car running smoothly. We serve Austin and the surrounding areas.